SHAMELA is a brilliant parody of Samuel Richardson's PAMELA, in which a virtuous servant girl long resists her master's advances and is eventually 'rewarded' with marriage. Fielding's far more spirited and sexually honest heroine, by contrast, merely uses coyness and mock modesty as techniques to catch a rich husband. 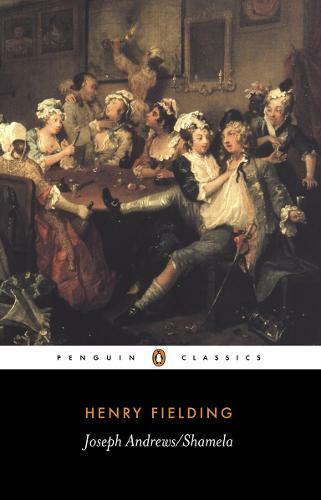 JOSEPH ANDREWS, Fielding's first full-length novel, can also be seen as a response to Richardson, as the lascivious Lady Booby sets out to seduce her comically chaste servant Joseph, (himself in love with the much-put-upon Fanny Goodwill). As in Tom Jones, Fielding takes a huge cast of characters out on the road and exposes them to many colourful and often hilarious adventures.